Success on the court cannot necessarily be measured by society's traditional sources, those being win-loss columns. At least not yet. Overall development has to be taken into account, and this year, there was certainly improvement. With such a young and inexperienced team, it's impressive that a dozen program records fell this season. 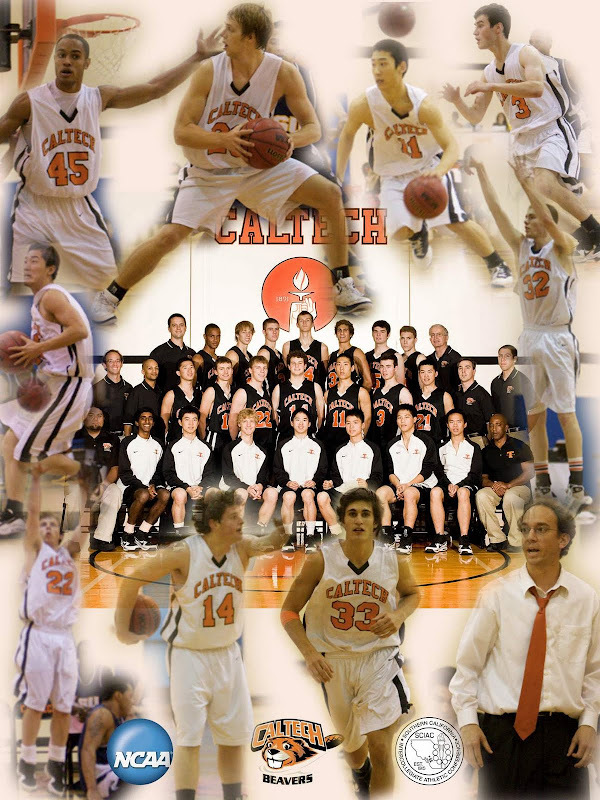 Witness the evolution of Caltech Basketball. The shot blocking has been talked about and was certainly a positive. The Beavers recorded 92 rejections in their 25 games, smashing the 2008-09 squad's accomplishment of 76. Ryan Elmquist had much to do with the stat as he accounted for more than half of the blocks (an individual season record 50 that bested the talented Ben Turk '98), which was just seven fewer than he and Travis Haussler '09 turned in last season. The eight swats against Chapman was also a team first for getting-that-stuff-out-of-here in one game. The other team record? Field goal attempts in a season. Certainly worthwhile considering the lack of scoring opportunities due to turnovers and limited offensive rebounding. Freshman Mike Edwards turned out to be as good as advertised as he broke six individual records (most noteworthy his 62 3-point makes that overtook the trifectas of Josh Moats '97), and entered the Top 10 in four other categories, including points in a season (470), scoring average (18.8 ppg), free throw percentage (.777), and steals in a season (44). Besides the Elmquist shot blocking party, the junior forward became the No. 1 player in season free throw attempts (208), as he surpassed the foul line feats of Bryan Hires '08. Elmquist already holds the mark for freebies made and attempted in one game (17 of 19). First-year cagers Collin Murphy and Ethan Boroson also entered the Top 10 in steals for a season (35) and assists per game (3.3), respectively. Here is the complete list of records in the new era. For everything else, check here.